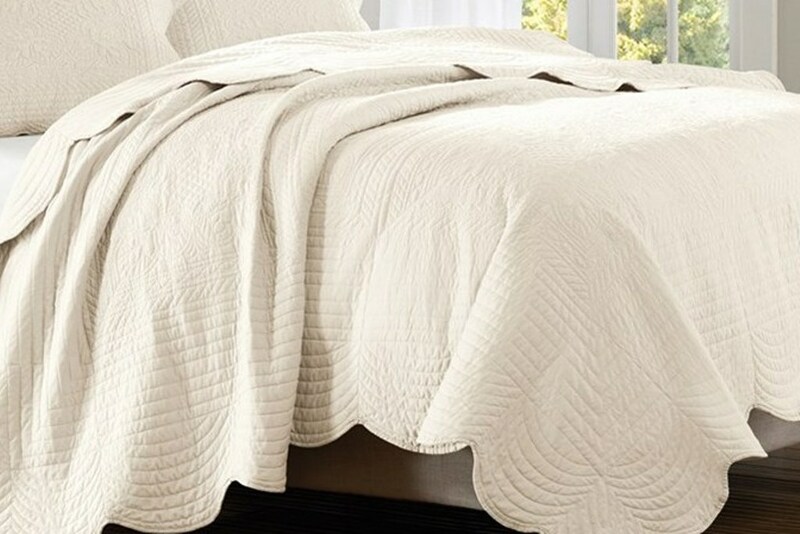 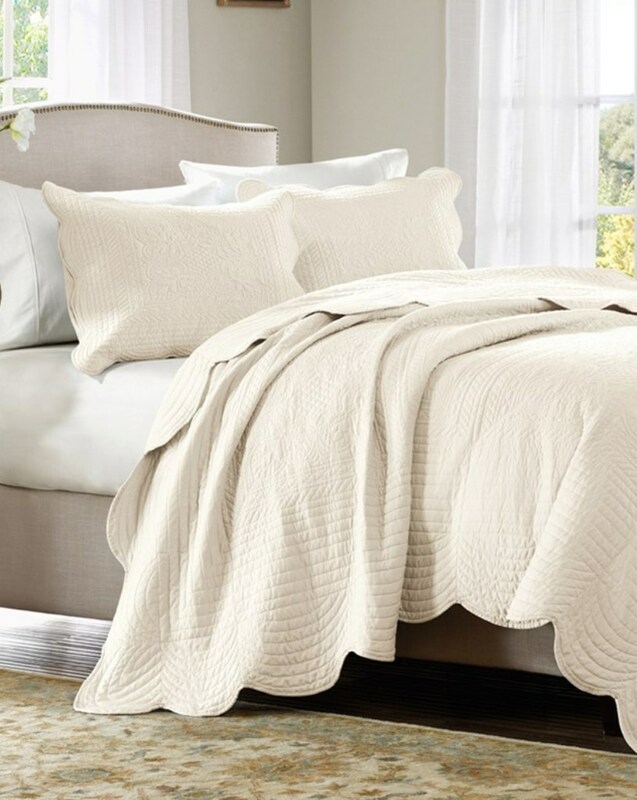 A classic style that works great as a layering piece or by itself for a new solid look in a soft ivory. 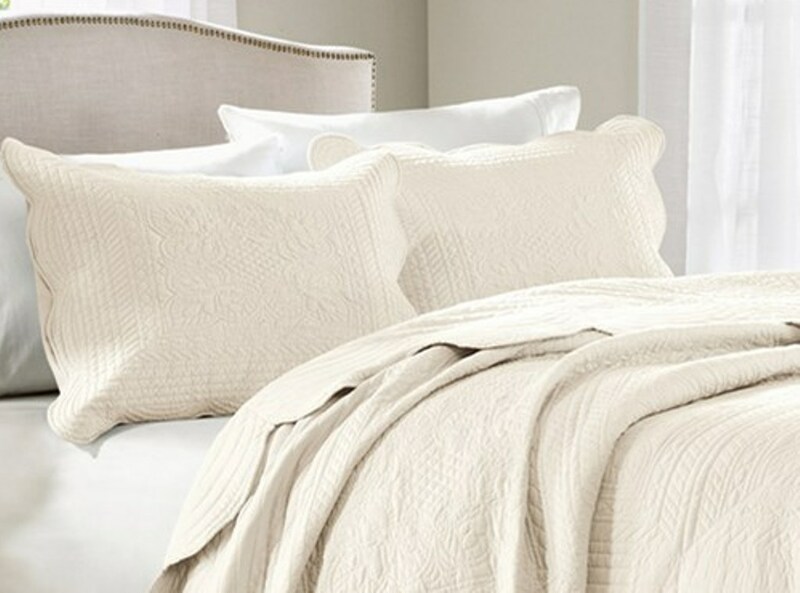 The decorative stitch pattern adds texture to a room, and is finished with a large scalloped edge. 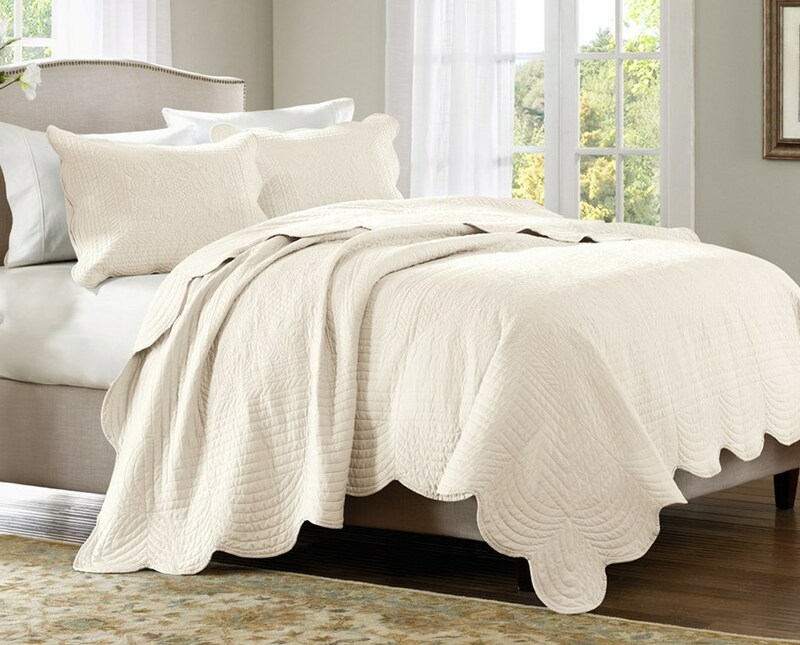 Matelass� is a French term for a "quilted ornamented fabric".